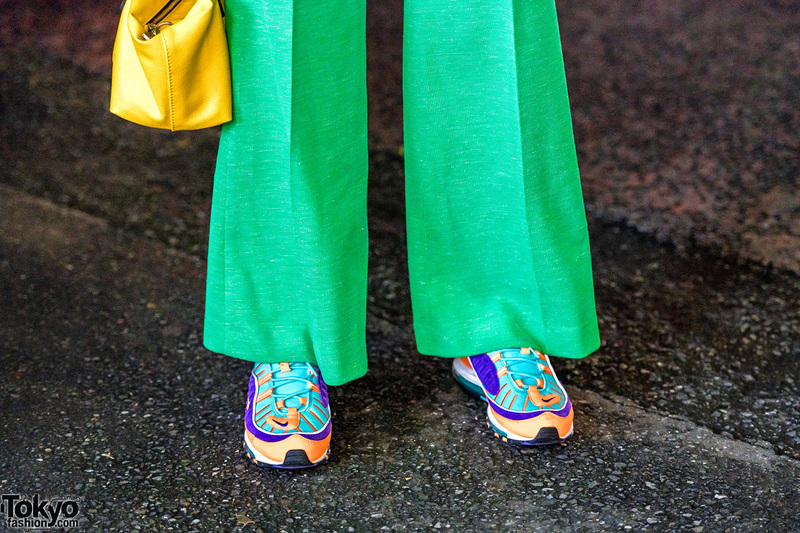 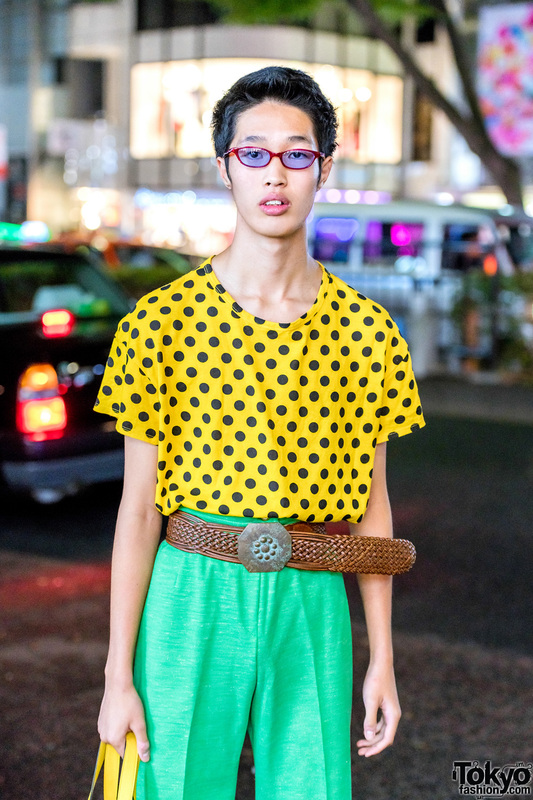 Moka is a 17-year-old Japanese student whose colorful retro street style caught our eye in Harajuku at night. 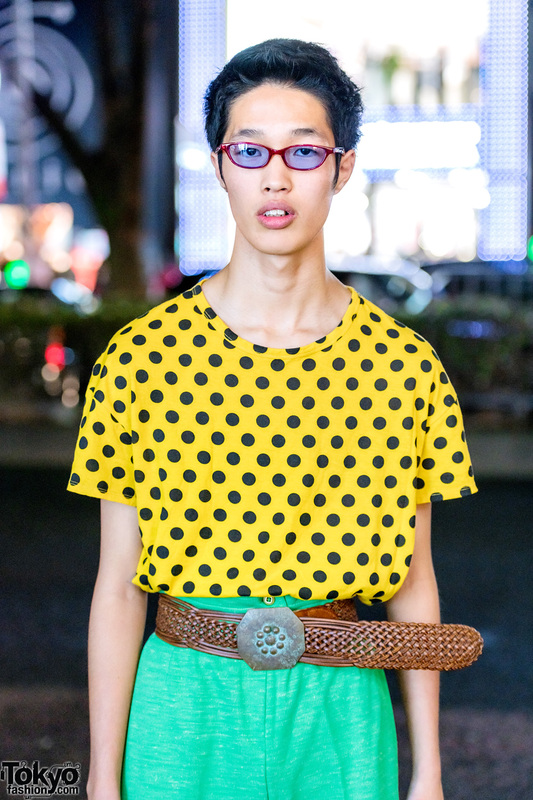 His look features a yellow polka dot shirt that he picked up vintage, green vintage pants with a vintage belt and vintage belt buckle, a vintage handbag, and colorful Nike sneakers. 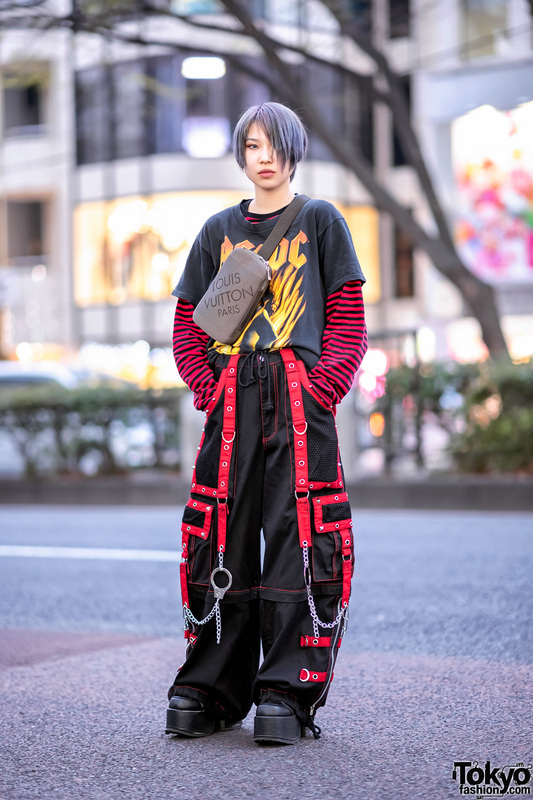 Moka’s favorite musical artist is Ging Nang Boyz. 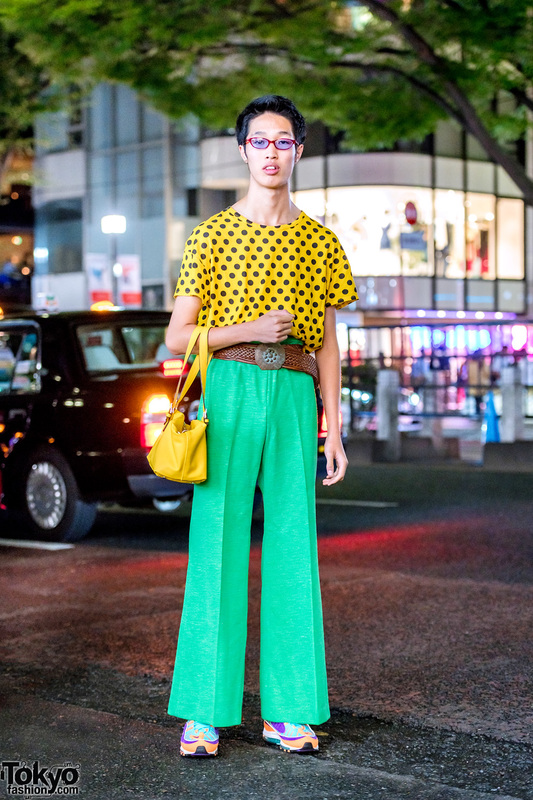 Check his Instagram and Twitter for more of his eclectic street style.